The professional whitening that we offer through our office is a wonderful way to remove stains and improve the overall appearance of your smile. 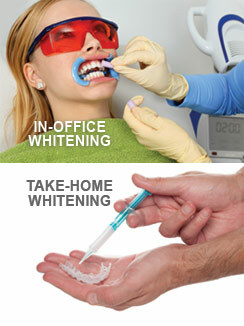 We currently offer our patients two whitening options. Our fabulous in-office power whitening provides remarkable, instant results creating a brighter, vibrant smile in just a two hour appointment! 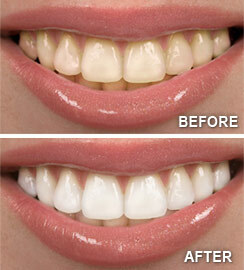 This is a wonderful way to remove stains and improve the overall appearance of your smile! We are sure that you will love the immediate results and your new dazzling, youthful smile! We also offer a traditional option that allows you to conveniently whiten your teeth in the comfort of your own home over a period of days to weeks. Call us with any questions and let us help you with a new, bright, white smile! I always thought I had an ugly smile, took terrible photos, and basically never smiled. Then Dr. Oppenlander gave me a beautiful new smile and it changed my life. Really. Now, I literally smile all the time and am constantly complimented on how beautiful my smile and teeth are. Interested in Teeth Whitening from Richard A. Oppenlander, DDS, PLC?